Genesis Sonic 3 & Knuckles (World) "Tails" in 30:12.52 by Aglar & marzojr. Sonic 3 & Knuckles completed with Tails. Interestingly, the authors of this run, Aglar and marzojr, utilized a disassembly of the game in order to squeeze the most out of every trick used. 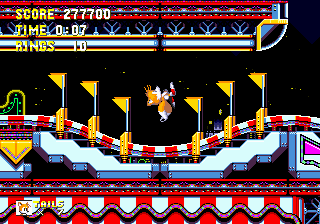 We also have runs with Sonic and Tails, Tails in Sonic 1, Knuckles, Amy, Knuckles 100%, Sonic 100%, Competition mode and Sonic and Tails on NewGame+. Every second pair of links/torrents provides camhack encodes, which force the camera to follow Tails no matter where in the level he is.